North Bangalore, not so fashionable an address until a few years ago, is now becoming the neighbourhood of the town. It is famed for being a self contained suburb of Bangalore city housing maximum number of residential units with luxury housing. A good percentage of housing launches in North Bangalore are now better as compared to East Bangalore. North zone suburbs are mostly happening due to the presence of well developed public infrastructure, social conveniences and development of IT SEZs. The turning point of this region came about with the setting up of the International Airport at Devanahalli. A few years ago, Bangalore mostly referred addresses like Jayanagar, Malleswaram, Sadashivnagar,Koramangala, Indiranagar for residential living while shopping always meant M.G Road, Brigade Road and Commercial Street.However, all that has been transformed for good. While the established suburban areas have held their fame, new neighbourhoods are becoming more appealing, especially for those who live amidst the city bustle. Areas in North Bangalore like Jakkur, Yelahanka and Hebbal are now a bustling business corridor. These areas have witnessed several landmark developers heavily investing here. Jakkur, situated right next to Hebbal and opposite Sahakar Nagar, has seen tremendous growth in residential projects. Amongst projects like Sobha Emerald and Prestige Dorchester situated in Jakkur, is Aries Lakeview by Citrus Ventures. This project comes with a panoramic view of the Jakkur Lake, which has developed an eco system of its own. 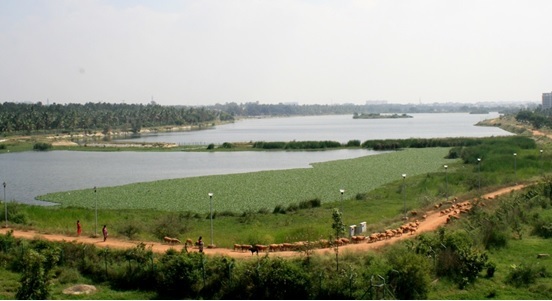 It is also one of the cleanest lakes in Bangalore city and a paradise for migrating birds, housing 10,000 birds making Jakkur Lake their haven. This lake has also been instrumental in replenishing the ground water table. Aries Lakeview, situated away from the city commotion, is well connected with access to the NH-7 highway and the outer ring road. Employees working within the Central Business District(CBD) and tech parks like Manyata SEZ, Kiroloskar Business and more, now have the opportunity to live closer to work. Places in proximity to Aries Lakeview also include the Jakkur flying club, Ranchenahalli Lake, Arkavathy Layout and GKVK- University of Agricultural Sciences as well as schools like VIBGYOR High and Ryan International School. With the saturation of popular city areas and continuous expansion of the city, new neighbourhoods are becoming more appealing to buyers.